A fine and modern experience at an pocket-friendly price. Raj Guru Residency is a comfortable choice of accommodation suitable for various travelers at a pocket-friendly price. The exterior of the hotel stands out in the locality with minimalistic architecture. The rooms are well furnished and clean with a sober combination of colors and essential amenities for your stay. 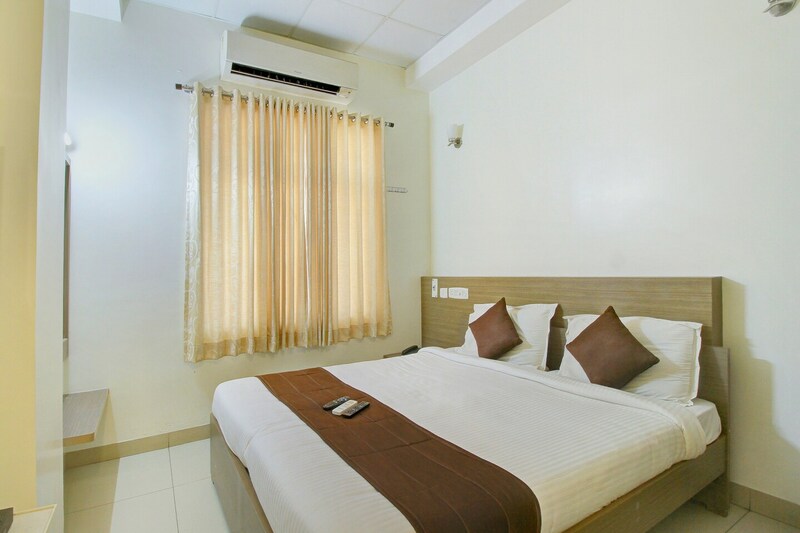 The guest can avail various facilities like free Wi-Fi, elevator, and parking space. Key attractions of Chennai like Karaneeswarar Temple, Our Lady Of Health Church, Little Mount, and The Forum Vijaya Mall are near to the hotel.